Young orphan Pip finds his life changed forever when he helps escaped convict Magwitch, and falls impossibly in love with Estella, the beautiful, icy charge of bitter Miss Haversham. Then an anonymous well-wisher gives him money to begin a new life in London. Are these events random? Or does Pip's fate hang on a series of coincidences he could never have expected? Books that save lives come in one colour Choose (Penguin Classics) Red, Save Lives Penguin Classics has partnered with (Product) Red to bring you our selection of some of the best books ever written. We will be contributing 50 per cent of the profits from the sale of (Penguin Classics) Red editions to the Global Fund to help eliminate AIDS in Africa. Now great books can help save lives. 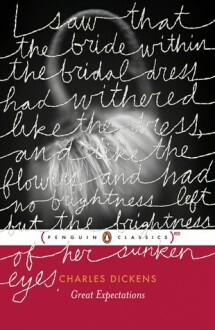 To read my full review of this amazing classic novel on my book blog, click here.